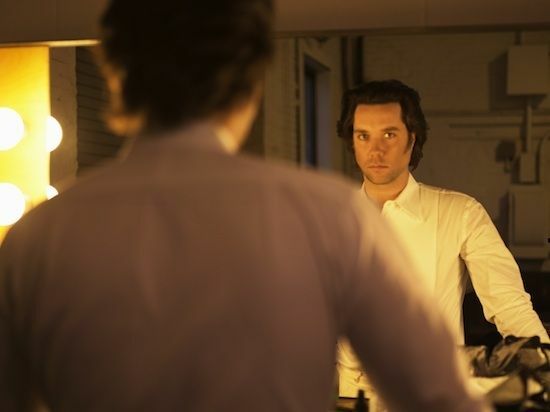 Rufus Wainwright Talks Opera Prima Donna and Why the Genre's "Not for Sissies"
Heretofore singer/songwriter Rufus Wainwright has been known as a prolific rock/pop musician and now he can add another credit to his name: opera composer. 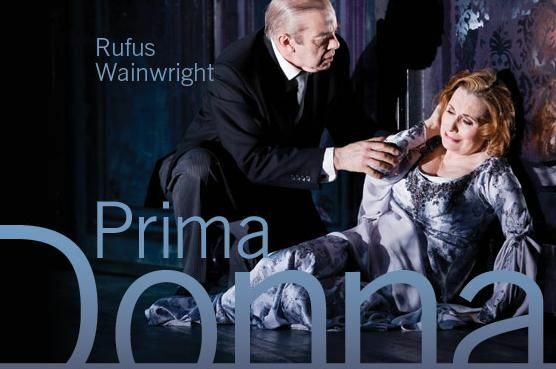 A lover of opera from an early age, Wainwright makes his first contribution to the genre with Prima Donna, a tale centered on a troubled opera diva and her struggle to return to the stage. After successful debuts in Manchester, London and Toronto, Prima Donna arrived to BAM yesterday and will run throughout this week with performances on February 21, 23 and 25th. Wainwright recently talked to PAPERMAG about what he thinks young people will think of his show and why writing opera is like a "Russian roulette game." How did you come up with the story for Prima Donna? I've been an opera fan since I was 13. I experienced this wild conversion around the same time I was accepting my homosexuality and the fact that I wasn't going to be a football star [laughs]. I initially thought,"Okay, I'll do this pop thing until I'm old and fat and then I'll write an opera in my declining years." Essentially what happened is the story fell in my lap. I was watching these interviews with Maria Callas from the '70s and it just dawned on me, quite violently actually, that there is no opera about an opera singer and all that that character has to go through. [There's no opera] that focuses on that world and especially on the diva archetype. Being such a great lover of the romantic era and the wide strokes of the 19th century, it gave me a great opportunity to revel in that sensibility and not worry about it being contemporary or cutting edge -- all things that I abhor [laughs]. So it's just a big, fat romantic love letter to opera and that's what I think people want right now. I don't think young people go to opera to experience what's going on downtown -- they go to dream, to aggrandize, to lose themselves in the jungle of mystery. It seems like opera is one of the last bastions of high culture and so much of what we see and get exposed to is pop culture. What's fantastic about opera is you can't fake it. There's no way [to fake] the singer having to sing without a microphone and filling the hall and the violinist being able to hit those runs and the conductor having to communicate with one hundred people and the intimacy of a moment. That requires good, old-fashioned skill and education and practice. Nobody's in it for the money, for sure. I think that everything's related, essentially, whether it's politics, the environment, human rights, the arts -- all of that is connected and we are in a period of regaining some of our lost aspects [of culture] and trying to fix a broken system. How the opera's doing is a prime example of how we're doing in society. If we cannot have an opera house, then we don't really have a society because opera's not about profit. So in other words, opera fulfills a longing for something purer and less artificial in our culture? Yes, I believe that 100%. I do sense a kind of yearning from young people who want something a little more challenging and a little more uplifting and deeper. They don't want it all the time -- it's not like they're gonna be camping out in the opera houses -- but they want a choice. The amazing thing about opera is, when it really works, you can go to one opera and you can think about it for the rest of your life. There are certain pop concerts where that can be the case but it's not quite the same thing. Opera is not about this rock star or this scene or this outfit, it's really about the ensemble and the big ideas that have been transported through the millennium. If you go see a Monteverdi opera, it's amazing how current and fresh it still is after 500 years. You talked about young people -- have you had many young people attending the opera? Yes, there's been a lot but that was never the idea. This isn't a campaign to bring young people to opera, which I think makes it more appealing because it's not forced. What was the actual writing and scoring process like? How was it similar or different from songwriting for pop music? 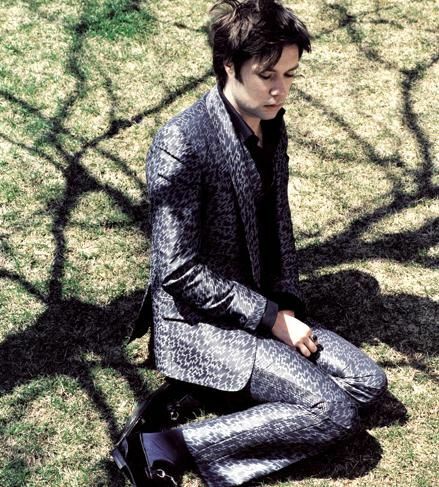 It's wildly more difficult [laughs]. But, that being said, 100 times more thrilling when you hear it. The stakes are much higher, especially considering that when you have an orchestra. It's like a very intense roulette game. A Russian roulette game. So it's not for sissies. At the same time, after finishing [Prima Donna,] I went and made this pop record [Out of the Game] with Mark Ronson and enjoyed that so much more than I had ever enjoyed making a record before. It really made me realize how fun pop is and how fun it is writing songs and being in the studio and hanging out with cool musicians and being more rock 'n' roll. Will we see more opera from you in the future? Oh yeah, I've been commissioned to write one. I can't really explain much about it. You can't really dip your toe in it then run. You've got to at least get up to your knees. Can you share anything about this new opera? It'll be out in a long time. Think 'the Roman Empire' and a really long and really, really expensive [production].